Why is Individual Health Insurance Important? All of us will get sick at some point in our lifetime, even if you are healthy now. An unexpected illness or injury can quickly decimate your finances if you do not have health insurance. Health insurance provides you with a means to afford health care when you need it. In addition, health insurance can help you pay for preventive care that can keep you from getting a more serious illness later on. And if you already have a chronic condition such as high blood pressure or asthma, health insurance can help you manage your disease and keep you from getting sicker. The average cost of a trip to the emergency room for an adult is about $700, not including any tests or hospitalization. A “simple” broken leg can cost up to $7,500. The birth of a child can cost up to $8,800 for a natural delivery and $10,000 for a C-section. A hip replacement can cost up to $32,000. With the right health insurance plan, you can protect yourself from most of these costs. Even with the rapid changes to health insurance being brought about by the Affordable Care Act, we can help you find the right plan to meet the needs of you and your family. Why is Individual Life Insurance Important? Life insurance is a vital part of your long-term financial plan. In its most basic form, it pays a lump-sum death benefits to your beneficiaries in the event of your death. But there are many forms and variations of life insurance, and the best one for you will depend upon your goals for the policy. The proceeds from a life insurance policy make cash available to support your family almost immediately upon your death. In addition, life insurance proceeds can be used to pay your debts, final expenses and estate taxes, and can even be a source of inheritance for your heirs. Term life insurance provides financial protection for a specific period of time, such as 10, 20 or 30 years. It is ideal for people looking to simply pay some final expenses and provide income replacement for their remaining spouse or other dependents. Permanent life insurance is a more complex financial tool. These types of policies offer a long-term savings component or an investment component as well as the death benefit. Permanent life insurance is very complex and offers many possible outcomes throughout the life of the policy. Your financial obligations do not necessarily go away if you die, and your family’s financial future will certainly be at risk without some thoughtful planning. Life insurance is vital to helping your family meet your financial obligations and sustain their lifestyle should you die. Why is Individual Disability Income Insurance Important? According to the Insurance Information Institute, forty-three percent of all people over age 40 will have a long-term disability event by age 65. Disability income insurance helps replace some of your earnings so you can continue to pay your bills if you are disabled and unable to work for a period of time. It is important because it protects your most valuable asset: your ability to earn an income. In exchange for your periodic premium payment, the insurance company promises to pay you a predetermined benefit amount for a specified period of time. Disability income policies will replace from 50% – 70% of your pre-disability income, and when you pay the premiums yourself (rather than if they are paid by your employer), the benefits you receive are not taxed. Individual health, life and disability insurance is extremely important for those who do not receive these as benefits from their employer, or who are self-employed. 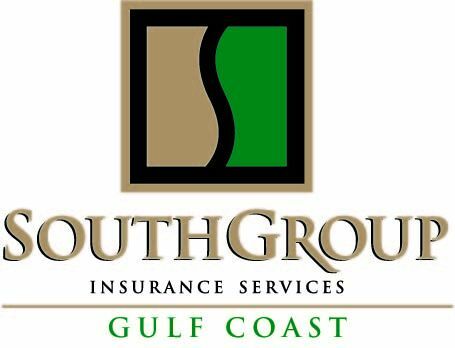 The experts at SouthGroup Insurance services can help you assess your needs and find the right policies to complete your personal insurance package. Contact us today to learn more.